The GNSI Distinguished Service Award is given to long-term dedicated workers, who have put in countless hours and have usually both served on the Board, and coordinated conferences or portions of conferences. The award is given after several years of ongoing service on the part of the member. This year we are pleased to present this award to Sara Taliaferro. In 2002, Sara coordinated the GNSI Annual Meeting and Conference, held in Lawrence, Kansas. 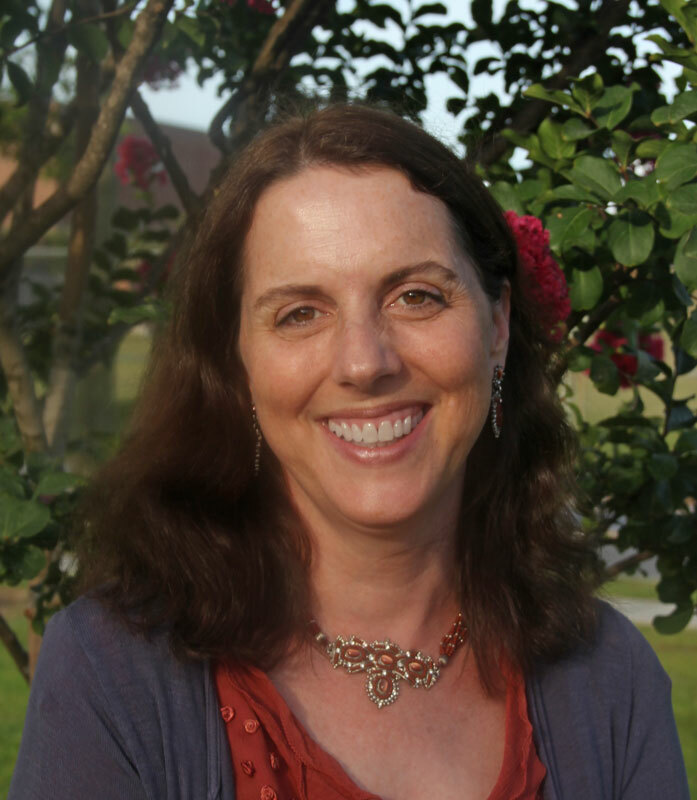 Sara has lectured at Annual Conferences and has taught workshops at the Chapter level. She was one of the founding members of the GNSI Great Plains Chapter, formed in 2006, and she has served as their Secretary since the group began. She has coordinated or assisted with workshop organization and planning at the Chapter level. She has been on the Nominating Committee since 2006, has served on the Education Committee since 2007 and currently serves on the GNSI Board as Education Secretary, a position she assumed in 2010. In this position, she has contributed greatly to the organization of Summer Workshops as well as been an active Board member. Sara has worked with Diane Sands on a GNSI Oral History Project, taping interviews of longtime Guild Members. Sara coordinated the 2011 Annual Auction and also MC’ed the live auction. A dependable member of the auction crew, she has assisted in four other auctions as well, including employing the various personae she has at her disposal. Sara has been a member of the Guild of Natural Science Illustrators for fifteen years and has attended the annual conferences for all of those years. Sara is the person who can step up to the plate when we have last minute leadership needs. Her natural science illustration career began early, designing a small field guide to spring wildflowers in the woods behind her Pennsylvania home when she was ten years old. She continued her fascination with science and art throughout high school, performing field studies and experiments at home and in her woods, and spending hours doing elaborate pen and ink illustrations of such things as mosses on felled tree branches. She obtained a B.S. of Education in Biology from Mansfield University in Pennsylvania, and also took art classes during her undergrad years. She returned to her Midwestern roots to obtain a Masters in Botany in the Genetics Program from the University of Kansas, taking a scientific illustration class near the end of her graduate studies. Upon completion of her graduate work, she took a staff position with the Museum of Natural History and Biodiversity Institute at the University of Kansas. She worked for over six years with Dr. James S. Ashe, a specialist on Aleocharinebeetles, Family Staphylinidae. Her position was funded by a PEET grant. She left the Entomology department to launch her own scientific illustration business, Happy Beetle Studio, and she specializes in entomological and botanical illustration. Her work is mainly computer-generated line and color, yet she also renders in pen and ink, carbon dust, watercolor, and acrylic. Sara’s work is primarily published in books and journal articles, she also exhibits and sells natural history fine art. She has exhibited in juried shows at the Sonora Desert Museum in Tucson, AZ (2004); The University of Kansas’ Natural History Museum in Lawrence, KS (2008, 2009), The Haydon Art Center in Lincoln, NE (2009), and the Annual Guild of Natural Science Illustrators Exhibition (Fort Kent, ME in 2009; Raleigh, NC in 2010; Olympia, WA in 2011). She is a member of the Lawrence Art Guild (Kansas) and served for four years as their membership secretary. When not engaged in various Guild activities or scientific illustration, Sara enjoys time with her husband, twin daughters, and a small menagerie of animals at their home in Lawrence, Kansas, where they remodel their Arts and Crafts home, garden, bug watch, explore, travel, draw, paint, and write. She is also active in the community, volunteering for causes involving respite for the homeless and in various efforts involving environmental education and sustainable living practices. Sara has contributed much to the GNSI over the years, adding great energy and wise leadership. It is my great honor this evening to present you, Sara with the GNSI Distinguished Service Award.